Evidence. What comes to your mind when I say that word? Do you think of a crime scene – maybe a suspected murder or arson? The detectives sift through the evidence and find what’s pertinent and provides clues in their investigation. Or maybe you think in terms of history and archeology? 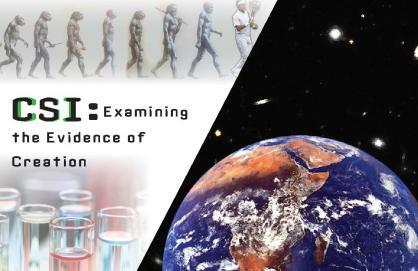 Researchers examine the evidence of civilizations gone by and are able to determine in what kind of houses they lived, what implements they used for work and what food they ate. Just this morning at the church office, I saw some evidence. Our twelve acres of farmland, that will soon be transformed into a church campus, is currently occupied by a number of gophers. Now I love all of God’s creatures, but these gophers really gotta “GO” … I mean it’s in their name after all: “GO-phers!” When I look out all around the property I see literally dozens if not hundreds of gopher mounds. Now, I have never actually SEEN a gopher hopping around the property, but I sure have seen the EVIDENCE of gophers! I know their marks well. And I can see that they are alive and well at 24414 S Ellsworth Rd in Queen Creek, AZ! And that got me thinking about God. You and I have likely never SEEN God with our eyes, but we see the EVIDENCE of God all around! The sun, moon and stars are evidence of His handiwork – and wow! do they ever sing His glory! The birds, grass and flowers likewise give testimony to a powerful and amazing creator. Likewise, people – humans who are able to love and give and serve … show us evidence of the nature of our loving and gracious creator! 6/14 – Tell What Happened. May you be blessed and may God be glorified!